Kerikeri - so nice they named it twice! Cradle of the Nation, since 1819. NZ's Top Small Town in 2000. Fastest growing town in Northland. 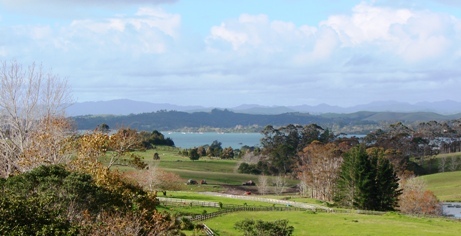 'Uniquely Kerikeri' 2010. Kerikeri lies at the northern end of the Bay of Islands, home to 144 islands and the most important tourist destination of Northland. Pictured is Paihia, to the south, from where most of the water activities leave, including the Hole in the Rock and swimming with Dolphins. 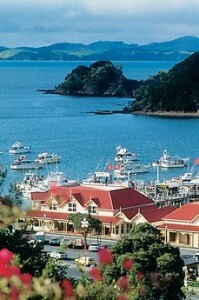 You can also take the ferry from Opua across the harbour to Russell. Largest town: Kerikeri 5856 (2006).